What Are the Most Common Sources of a Water Leak? Any Water Leak Should Prompt an Immediate Call for Professional Repair. Water leaks represent one of the chief dangers for a home. Whether it originates in your plumbing or on your roof, most water leaks remain hidden long enough to accomplish significant damage. As a homeowner, you must remain aware of the signs of a water leak, and call for immediate service when they appear. You can accomplish this more easily if you understand the common sources of a residential water leak. A leaking roof and plumbing leak represent the two main ways that water enters a home. Classification between these two does not cover all the different types of leaks, however. There actually exist 12 common areas where leaks originate. 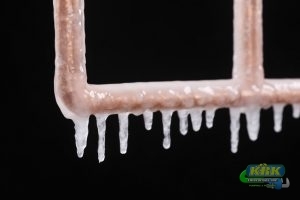 If you keep all of these in mind, you can save a great deal of money through the early detection and repair of leaks. Washing Machine: Leaks may develop from your connecting hoses. Downspouts: If not angled properly, a downspout can dump water into your foundation to create slab leaks. Gutters: Gutters filled with debris will overflow and send water cascading down your exterior walls, to the foundation. Air Conditioner: An overflowing condensation pan will create a leak in your ceiling. Showers and Sinks: Faucet can drip water unnecessarily, while missing caulking or grout in your shower can cause leaks. Appliance Supply Lines: Many homeowners forget about these water connections, which can become susceptible to leaks over time. 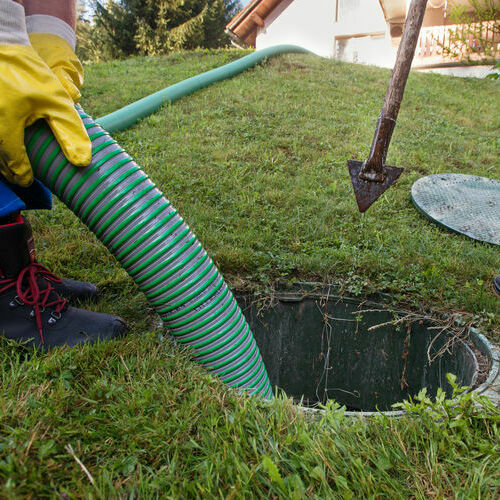 Sewer Line: A cracked sewer line an leak in your yard, while a clogged one will push waste back into your home. Toilets: Toilets can leak water around the base. 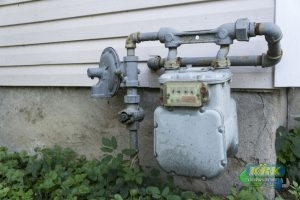 Water Heaters: Cracks in your tank can leak, and also may rupture to flood your home. 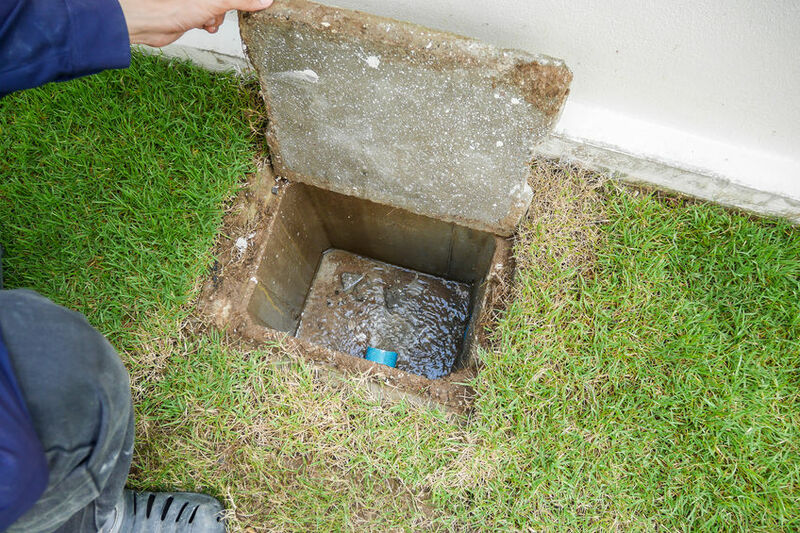 Water Line: The line that delivers water to your home can crack or rupture for a serious leak. Damaged Roofing Materials: Water will find its way into your roof if you have damaged roofing materials. Flashing: Damaged flashing will lead to leaks in the most vulnerable areas of your roof. Every rainstorm presents an opportunity for leaks to appear in your roof. In the absence of damage to your roofing material, your flashing represents the most likely source for a water leak. For roof flashing repair, contact a trusted local roofer. As for any plumbing leaks in Fort Pierce and Port St. Lucie, Fl, reach out to KRK Enterprises, Inc. for both location and repair services. For any questions or service requests, give us a call at 800-330-7686. If You Have A Clogged Drain, Try These DIY Tricks or Call Us! Drains play a monumental role in the plumbing system by removing waste and water to the sewer lines. If drains didn’t do that, overflow would quickly happen in the home. Drains also help push the needed cooling liquids around your home through the air conditioning vents and ducts. So if the main water line drain is clogged, it will affect every pipe in the home, including your HVAC unit. That means no cool air! If you notice that your drains are slower to empty or that your Rheem Commercial HVAC unit isn’t blowing as much cool air as it once was, you have a clogged drain or pipe. Using a drain maintainer on your drains once a month helps keep your water lines unblocked. A drain maintainer is one part drain cleaner and eight parts water. While diluted, this drain cleaner is still so powerful it should only be used in a few drops every month to not strip away the metal lining of your pipes. If you need help with a clogged drain in Fort Pierce and Port St. Lucie, Fl, call KRK Enterprises, Inc. at 800-330-7686 or try some of these tricks. If you have metal pipes, try pouring boiling water down the clogged drain to melt away the blockage. Don’t use warm water, as that is not strong enough. If you have PVC pipes, don’t use this trick, as boiling water can cause your PVC pipes to loosen. Create a volcano of cleaning products in your drain by pouring baking soda and vinegar down it. The chemical reaction creates a bubbling substance. Use the trusty old plunger! Fill your sink halfway with water- that way you can tell if the plunging is unclogging the drain. If the water is going down like in a toilet, the clog has passed. Homeowners have many tasks they have to deal with, which include working with a roofing company, electrician, and even plumbers. Because there are a lot of plumbing devices in our homes, it’s typically the service we need the most. Installations and replacements are pretty common, but the most common service is usually residential plumbing repair. A lot of people tend to put off plumbing repair for their residential plumbing or do it themselves, but there are so many important reasons and benefits that residential plumbing repair should not be avoided. Find Out Why You Need Professional Residential Plumbing Repair. So what are the benefits to getting professional repairs for your plumbing? Below is a list of benefits. When you hire a professional plumber for repairs, you are hiring someone who has the experience to locate the problem and provide reliable and effective repairs. Instead of relying on DIY or store bought cleaners, you can depend on a plumber who has the tools and knowledge to remove clogs, blockages, and other obstructions in your plumbing. 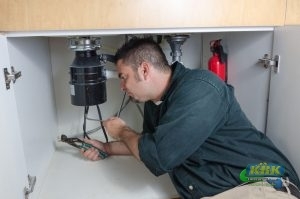 You will have better peace of mind knowing that whoever is repairing your plumbing device won’t damage it. It might seem cheaper to take on the repairs yourself, but calling a plumber for residential plumbing repair can actually save you money in the long run. If you ever have a plumbing emergency in the middle of the night and don’t know what to do, you can depend on licensed and certified plumbers. If you are looking for affordable and dependable residential plumbing in Fort Pierce, FL, call KRK Enterprises, Inc. at 800-330-7686! Are you tired of pesky clogs in your drains in pipes? One of the most common solutions that people tend to gravitate toward is using drain cleaners. While drain cleaners might be readily available, they can do some serious damage to your pipes and drains. A better, more safe and reliable solution is investing in hydro jetting. Not only is it a professional service, it is able to help you get plumbing pipes and drains that aren’t always clogged. Below are 5 benefits of hydro jetting your drains and pipes. 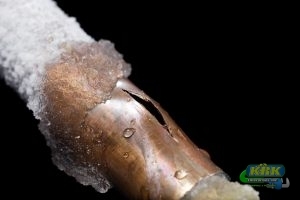 Don’t Let This Happen To Your Pipes. Get Professional Hydro Jetting Service! When you use a snake auger or drain cleaners, it only removes the middle part of the clog but doesn’t get rid of the clog that has coated itself on the side of your pipes and drain. With hydro jet service, it removes the entire clog and build up that is always leftover from the snake auger or drain cleaner. When clogs or other blockages aren’t dealt with, they can lead to serious issues with your plumbing. One of the best things about hydro jet service is that it is a great preventative measure. Getting your pipes and drain cleaned will ensure that clogs are kept at bay. Would you rather have to pay for pipes that are broken due to a clog or pay for a service that ensures this doesn’t happen? This type of plumbing service not only guarantees your drain and pipes are in good shape but that you will save money in the long run. 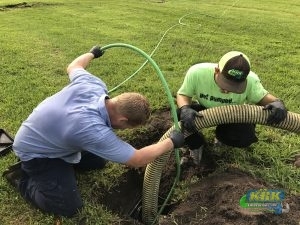 If you are interested in a hydro jet service for your Florida home, call KRK Enterprises, Inc. today at 800-330-7686. Despite what you may think, your drain is not a catch-all. There are many things that many people don’t know actually shouldn’t go down your drain and used in your garbage disposal. There are many cases of clogged drains that happen every single year and a majority of them could have been prevented. The easiest way to do this is to not put any kind of food down your sink or if you have a doubt if it should be going down your sink, just throw it away instead. It is better safe than sorry. 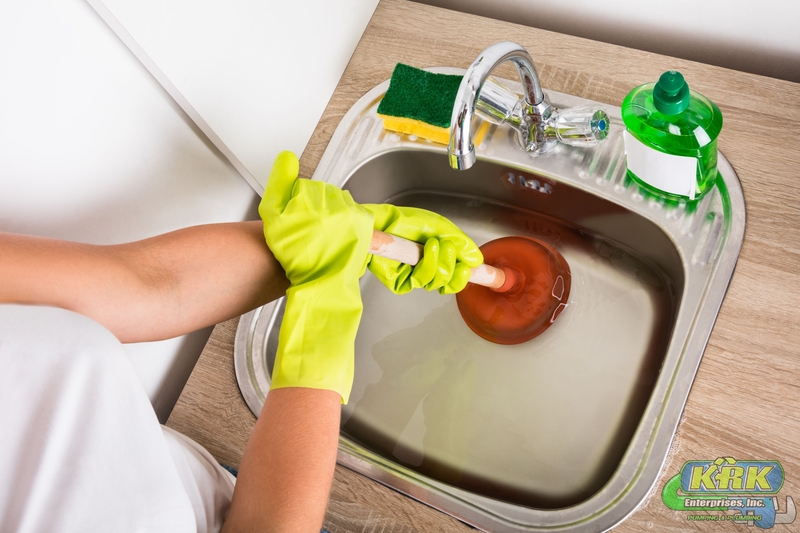 If you find yourself with a clog in your drain from food being put down your drain, you can try a few things like putting special drain cleaning chemicals down your sink or even trying to get it out with a wire hanger. If these options do not work, call a plumber and they will help you get it taken care of quickly and efficiently. Rice or starchy foods – If you have a habit of throwing old rice or food that is easily absorbing water, you need to rethink it. These kinds of foods hold water and expand. 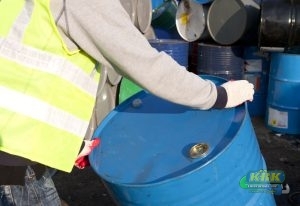 When they expand, they tend to clog up drains and are not easily removed by you. 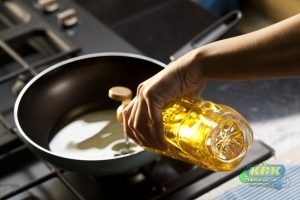 You also want to stay clear of putting coffee grounds, egg shells, potato skins, and grease down your sink as well. If you end up with a clog in your sink drain, give KRK Enterprises, Inc. a call at 800-330-7686 and we will help you right away! Getting More Efficient Plumbing For Your Home Can Lower Your Water Bill. They say “April showers bring May flowers” and with the beginning of spring means it’s time for “spring cleaning.” Part of spring cleaning should include taking a look at how you can keep a green and more efficient home. A clean home uses the least amount of energy, saving you money through efficiency as a homeowner. When talking about plumbing saving money and being energy efficient usually means conserving water. Here are some helpful maintenance tips to keep your plumbing as efficient as possible. Leaky Faucets – Have you noticed dripping from your bathroom or kitchen faucets? Slow drips not only indicate a damaged fixture, but they can waste more water than you may realize. Have an expert plumber inspect the faucet and possibly replace it with a low flow fixture. Replace Older Fixtures & Appliances – How long has your water heater been in use? Do you think its time for a new shower head? 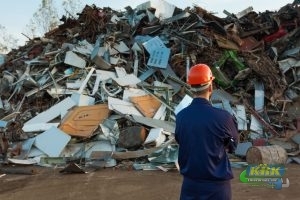 After many years of service, appliances and fixtures can lose efficiency and not work as well. However, modern systems are specifically designed with you and your home efficiency needs in mind. Consider updating your home to these newer models. Practice More Efficient Habits – Better efficiency in your home could be as easy as some simple changes to your routine. Waiting to do laundry until you have full loads can ensure there is less waste of water, as can taking showers instead of baths. Plumbing Inspection – Last, but not least, the best way to find ways to improve your plumbing is to have it inspected by a professional. Plumbers can tell you how your system is working if there is any damage, and if there could be a way to improve the amount of water you use in your home. KRK Enterprises, Inc. is your local plumbing and pumping company, providing you with green plumbing solutions for your home or business. Give us a call at 800-330-7686 for plumbing inspection and repair in Fort Pierce, Fl to improve your efficiency! With summer quickly approaching and the heat waves stepping up their game, it is easy to want to turn the water up a little more. The problem with that, is that you are raising your water bill when chances are, that you don’t need to. There are a few ways that you can save some money and still use your water this coming summer, here’s how. Water Less – If you are currently running your sprinklers twice a day, consider cutting it down to once a day and then if you really need to, use a garden hose to spray thye spots that are drier than others. Skip the Sprinklers – What we mean by this is, running the sprinklers for your kids to play in may be fun, but it is wasting water by letting it run. Consider buying a small kiddy pool and filling that up to play in, or if you really want some sprinkler fun, limit it to a certain amount of time and then make sure it is turned off. Shower at night – If you do this, you will go to bed feeling refreshed and then wake up in the morning without having to take a shower. This is better because if you shower in the morning, you will probably want to shower again at night to cool off. Just downsize to one shower a day, simple. If you need anything for your plumbing this summer, or anytime, call KRK Enterprises, Inc. at 800-330-7686.